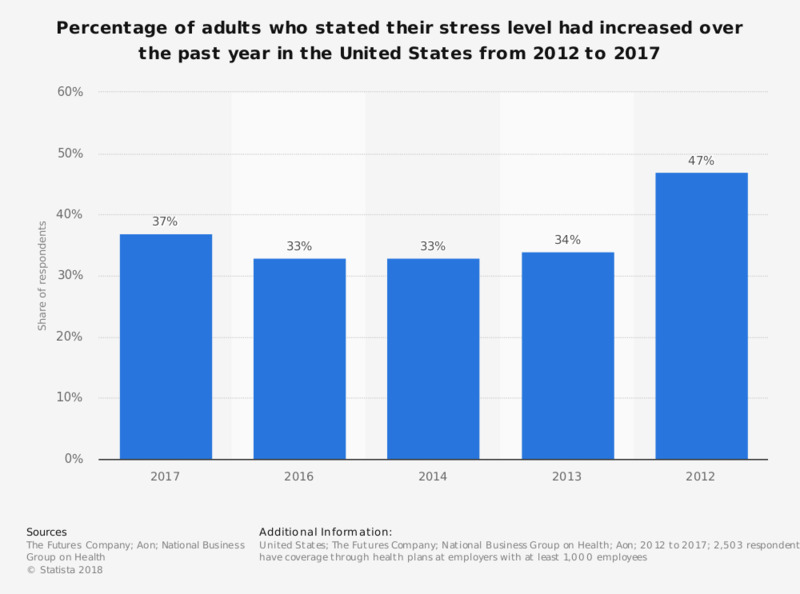 This survey shows the percentage of adults who stated their stress level had increased over the past year in the United States from 2012 to 2017. Almost 37 percent of respondents said that their stress level increased over the past year in 2017. Figures represent percentages citing “much higher” or “slightly higher” on a 5-point scale.